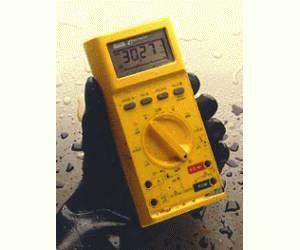 The Fluke 27 combines accurate digital and analog measurement capability with extreme ruggedness and durability. They have cases twice as thick as any other DMM we build. They are totally sealed, waterproof to 3 feet (one meter) of water for one hour, tough enough to withstand contaminants, chemicals, accidental drops and severe electrical overloads.